This chapter will provide a detailed survey of frequent pattern mining algorithms. A wide variety of algorithms will be covered starting from Apriori. Many algorithms such as Eclat, TreeProjection, and FP-growth will be discussed. In addition a discussion of several maximal and closed frequent pattern mining algorithms will be provided. 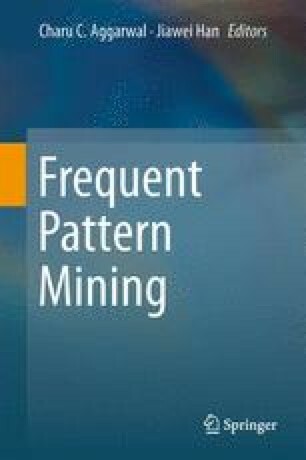 Thus, this chapter will provide one of most detailed surveys of frequent pattern mining algorithms available in the literature.